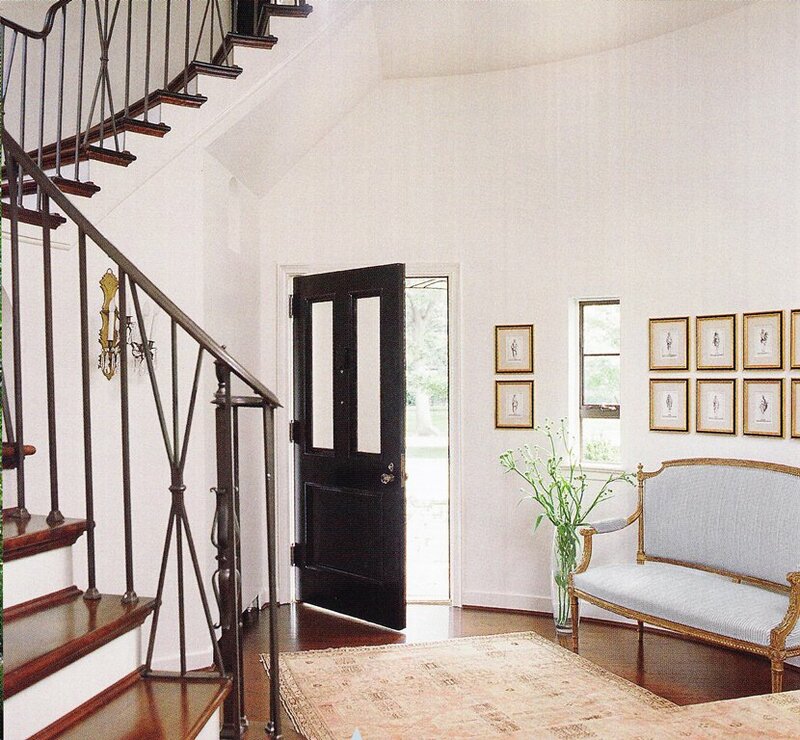 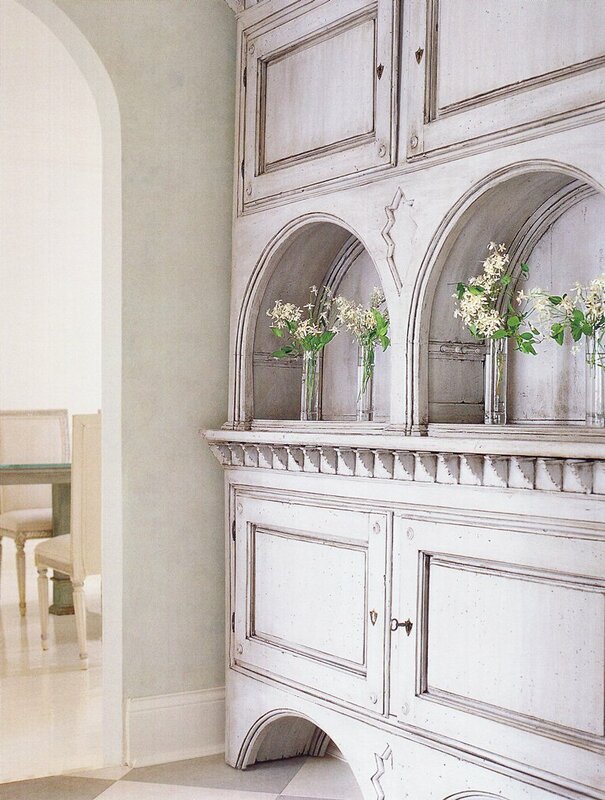 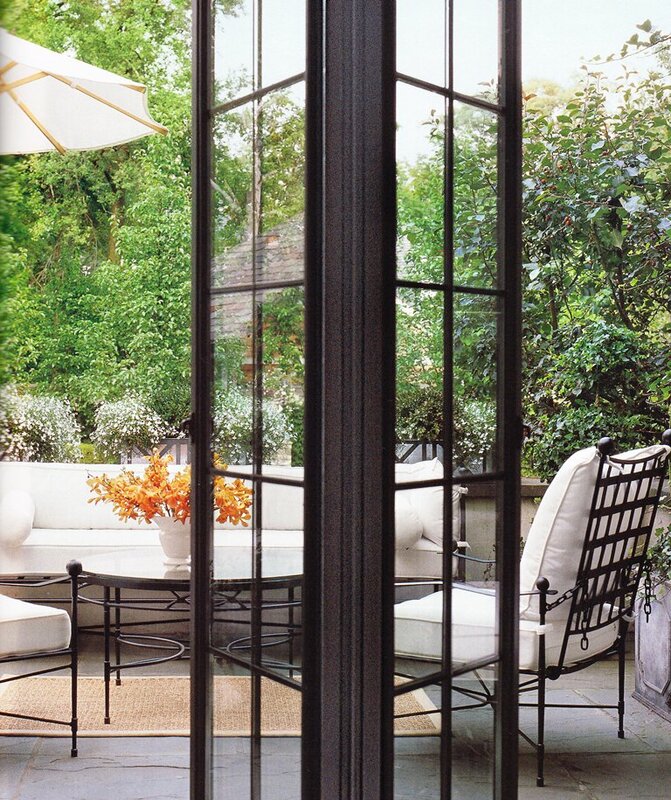 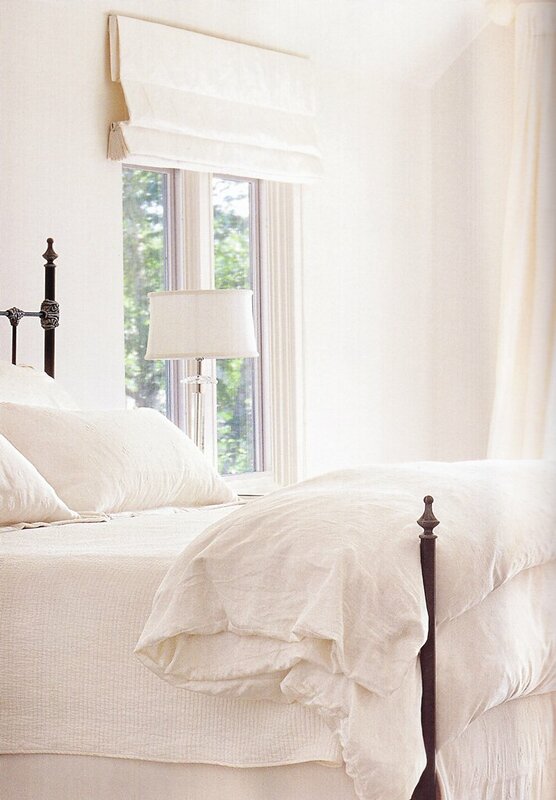 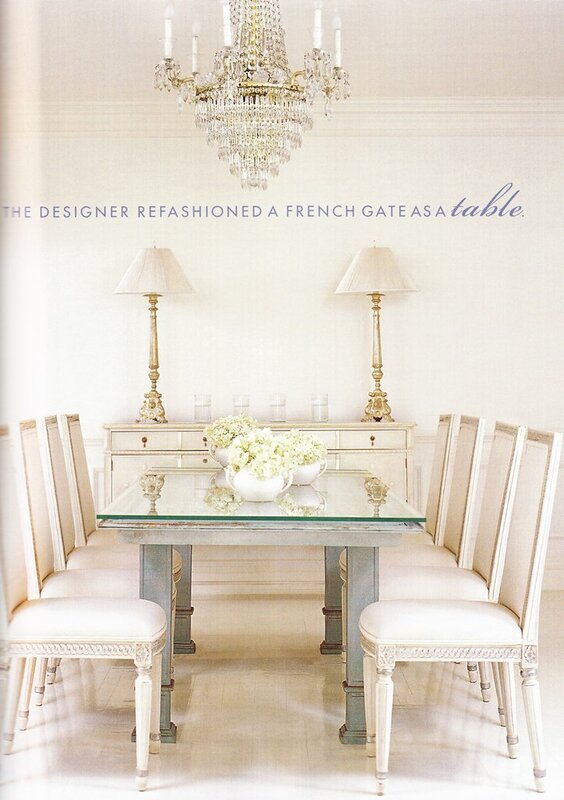 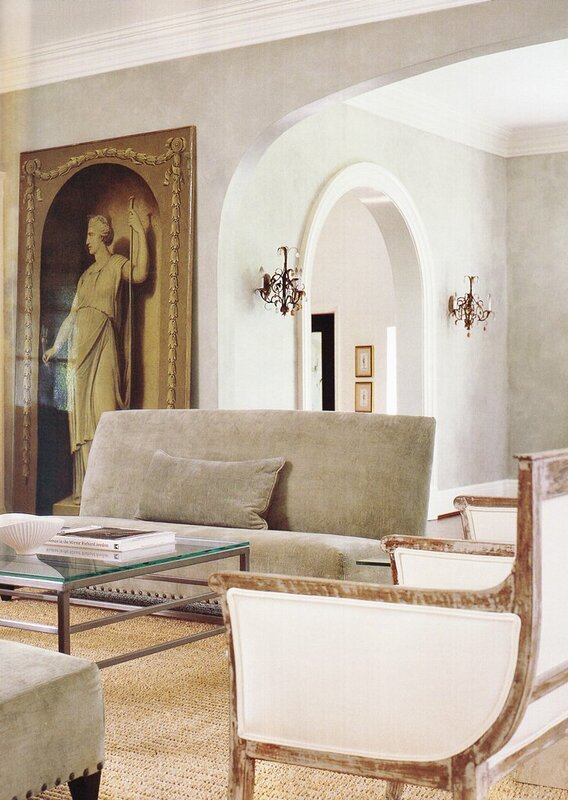 Take a deep breath and enjoy this serene space, designed by Interior Designer Gail Plechaty. Sleek lines, warm neutrals and a selective arrangement of antiques have contributed to a space that in uncluttered and instantly soothing. 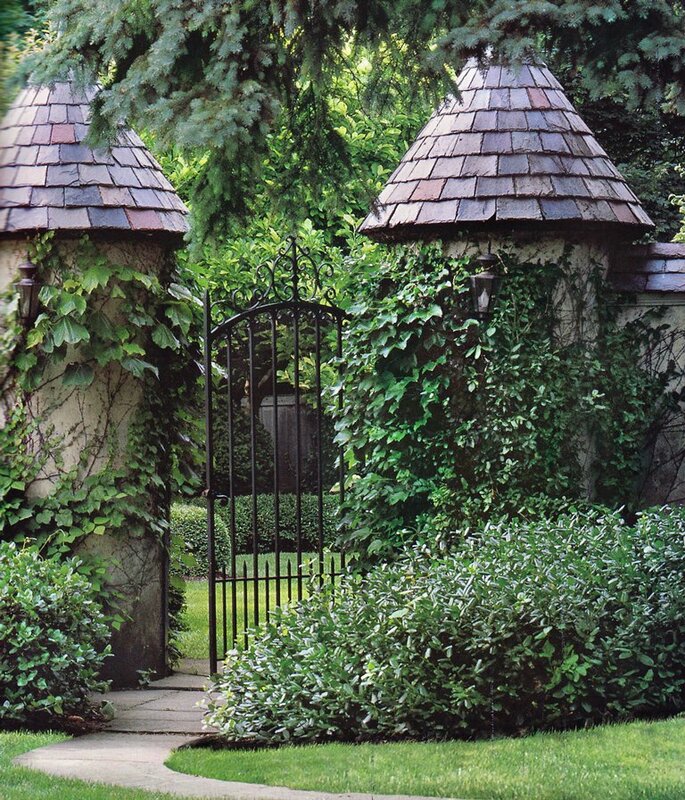 Featured in Veranda a few years ago, the home is located in a historic Chicago suburb. 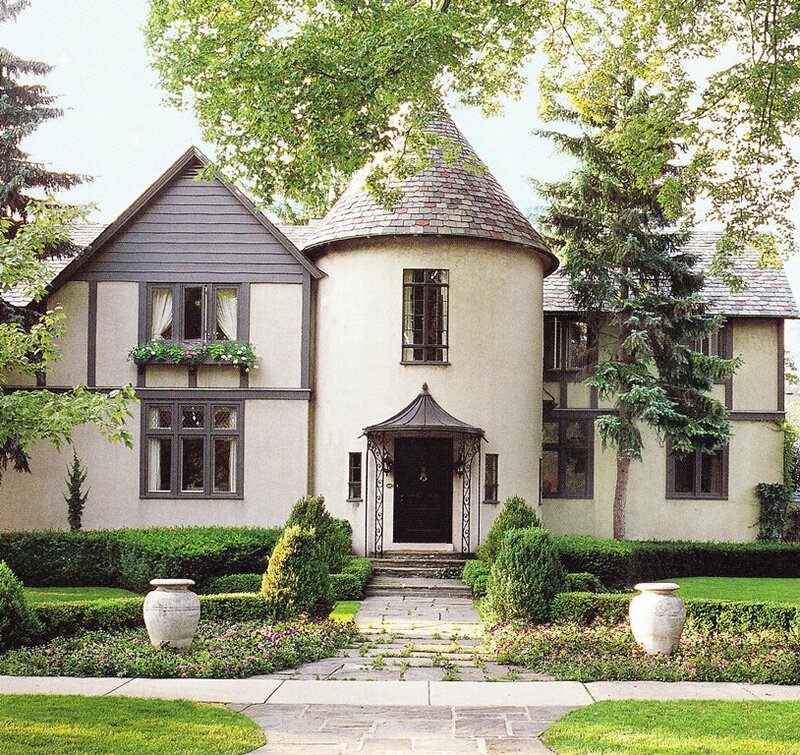 Built in the early 1900's, it's been through a few face lifts before it landed in the capable hands of Plechaty, redesigned the interior and filled it with old world furnishings from various parts of Europe. The home also features beautiful boxwood and hydrangea gardens, terraces, balconies, and stucco exterior.